Are you beading on a budget? Here’s a list of bead-weaving supplies with recommendations for what you should splurge on and what to save money on. I get it. Jewelry-making can be expensive. And, when you have a limited amount of cash to spend on hobbies, it can be tough to know what you should spend money on. While it may be tempting to look for the cheapest option for everything, that’s not always the smartest move. I’m going to give you a list of items you should splurge on for bead-weaving and what to save money on. This is the first of a three-part series. In the next post, I’ll share some handy tips you can use to save money on beading supplies. You can’t make beaded jewelry without beads and findings. I recommend splurging on good quality beading materials. Making jewelry with cheap supplies will result in your pieces looking homemade instead of professional. Also, cheap findings tarnish over time and low quality beads can fade. It’s best to invest your money in good quality materials so your bead-weaving projects look their best and last a long time. But, you can save money by practicing new techniques or patterns with cheaper materials. That way, you don’t waste your expensive stuff on projects that may not look their best anyway. Beading tools like pliers are useful to have when bead-weaving. You can use them to flatten beading thread before threading it and to pull needles through tight spots in the beadwork. Tools are something that you’ll use over and over again. And, because of that, I recommend that you splurge on good quality tools that will hold up well over time. Cheap tools can be flimsy and break. They can also rust and may ruin a piece of jewelry that touches them. A beading kit contains all the materials you need to complete a particular beading project. For this reason, I would recommend you splurge on any that really speak to you. And, if you only need a few beads out of a package, you’ll have a ton left that you may not have a use for. The beading kit provides just what you need without too much waste. Sometimes, you see a piece of jewelry and fall in love with the color combination used. But, then it’s hard to find those exact colors on your own. If you buy the kit, you’ll get the colors you want without the hassle. There are beading patterns all over the internet. However, when you’re beading on a budget, this is one area where you can save. 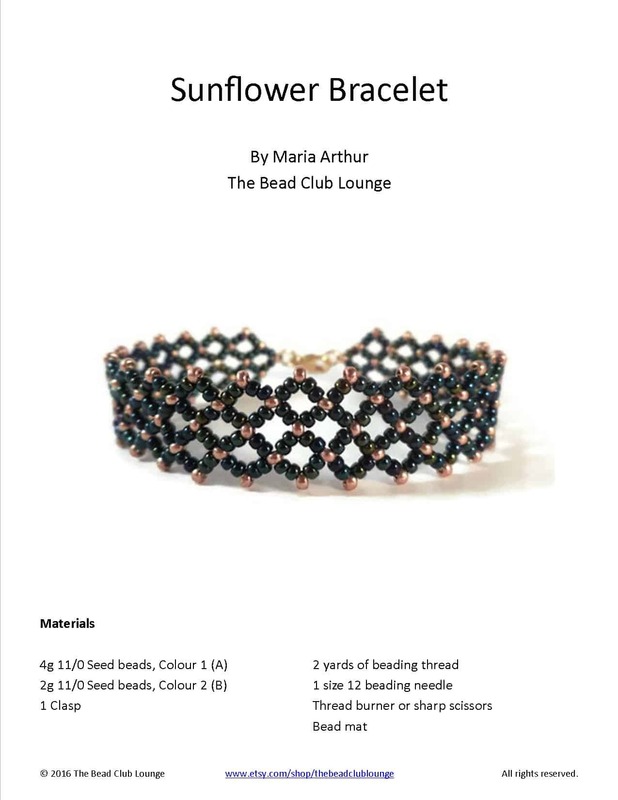 Enjoy free beading patterns on YouTube etc. It’s always fun taking a beading class or workshop. Getting that hands-on training from experts can be very valuable. And, you make friends along the way. But, classes can be pricey. Instead, try online classes and save money. You can take these in the comfort of your own home and at your own pace. Most classes give you access to the instructor so you can ask any questions you need to. There may also be online communities where you can interact with other students. Try the online classes and workshops on Craftsy and Interweave. It’s always nice to have a few beading books. They’re full of great jewelry designs and helpful tips. But, the digital versions are usually much cheaper than the hard copies. So, save money and select eBooks if you’re making a purchase. You can always print off individual patterns at home if you want a physical copy to use. Make sure to read the reviews and invest in books that you’ll use frequently. One such book that I highly recommend is Mastering Beadwork: A Comprehensive Guide to Off-Loom Techniques by Carol Huber Cypher. I have been telling other beaders about this book for years because it takes you through the basics of the most popular beading stitches and their variations, plus a few other techniques you may not have heard of. It’s a great resource that I still refer to up till this day. Beading on a budget can seem challenging but it’s doable. You just have to know what to spend money on and the best areas to save. Make sure to look out for Part 2 of this three-part series next week telling you how to save on beading supplies.